What’s on your ‘must pack’ list this summer? Bikini (lucky you) or brolly (ah, good old Blighty)? 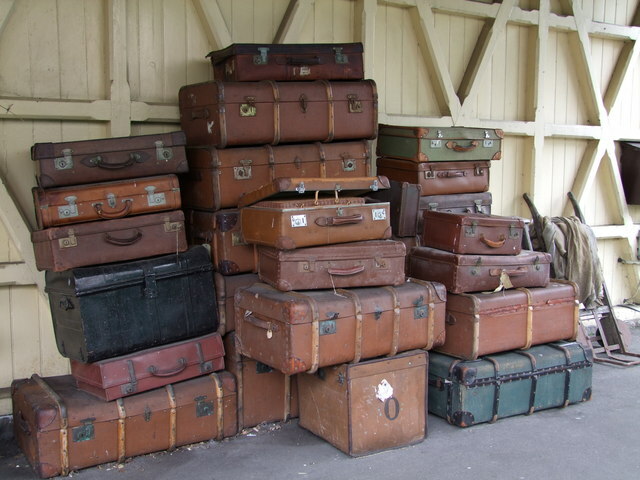 Before you check in, check out these tales of excess baggage from history. Packing for every possibility: 7 days away, 49 outfits! Alexander The Great, marching towards what is now Western Afghanistan, was said to have realised that the many carts transporting spoils of war were slowing down his army’s progress. He ordered that all excess baggage was to be piled onto carts and fire was set to the now laden wagons. Problem solved. Too many bags? A match and a good breeze will fix that problem! Amazingly, his men didn’t seem to have tried to save the loot! Other generals of history would come to do the same in time, including Napoleon as he fled Moscow in 1812. Medieval and Early Modern European princes knew how to travel in style. As they progressed around their dominions, their entire household would come with them. Edward I of England’s entourage progressed from Canterbury to Westminster in the summer of 1299. His household goods filled an amazing 28 barges piloted by 115 men, including tapestries, ornate furniture as well as the Royal Wardrobe and personal items. He also frequently travelled with his pet lions, though this could be risky – in 1289, one got loose and killed a courtier’s horse. Edward just wanted his home comforts! But winning the bizarre excess baggage award is Catherine of Aragon’s older sister, Juana ‘the Mad’ of Castile. Said to be driven crazy by her husband Philip’s many affairs, she was eventually declared unfit to rule and locked away by family members keen on taking over her power. Juana: took her husbands corpse EVERYWHERE! Whether she was in fact mentally ill or just a hapless pawn, one of the stories told was that after Philip’s death she travelled around Spain for 3 years; carrying his embalmed corpse in the luggage train. Still obsessed, she’s said to have journeyed only at night so that other women wouldn’t see him and be overcome with lust. That would be an awkward conversation at customs!